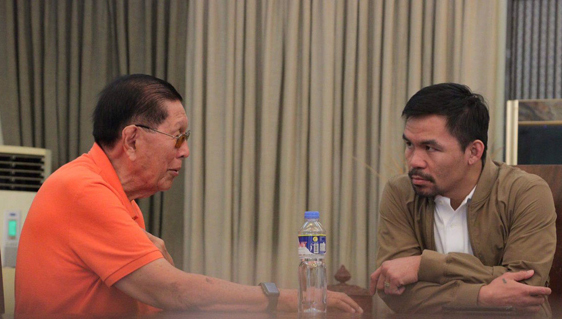 Former Senate president and Puwersa ng Masang Pilipino Senatorial candidate Juan Ponce Enrile thanks Senator Manny Pacquiao for his endorsement during Enrile’s visit to General Santos on Tuesday. ‘I am thankful for the endorsement of Senator Manny Pacquiao, the People’s Champ, for my candidacy to the Senate. He is a hero to me and to all Filpinos,’ the veteran lawmaker says.